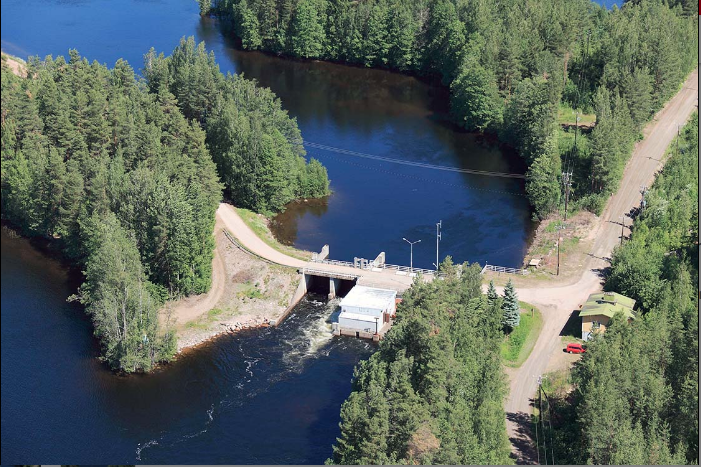 Danfoss Editron is providing two electric generators to Finnish energy group KSS Energia to help double the operational lifespan of the Siikakoski hydro plant in Kouvola. The Siikakoski plant, which has been in operation since the early 1960s, was taken over by KSS Energia in 1976 when it was connected to the company’s energy network that provides power to customers in the Kouvola region. Its existing machinery dates back to the 1960s and needs to be fully replaced in order to keep the plant running and capable of providing power to the local area. Danfoss Editron is delivering a full generating system, including two 1300kW, 125rpm electric generators and two 600kVAr reactive power compensation units, as part of the plant’s upgrade. The new generators, which feature direct drive permanent magnet technology, are more compact and 20-30% lighter than traditional synchronous machinery. Danfoss Drives is providing the project’s state-of-art reactive power compensation system, which is based on the company’s active front end technology. The first 1.3MW generator was successfully installed at Siikakoski at the end of 2018, with another 1.3MW unit expected to be commissioned by the end of 2019. Once fully operational, the 2.6MW plant will power approximately 500 homes in the local region annually for the next 50-60 years. The Siikakoski project forms part of Danfoss Editron’s new renewables market offering. This service began with Danfoss’ acquisition of AXCO-Motors late last year, which boosted AXCO-Motors’ existing hydro offering with the diverse product portfolio of Danfoss Editron and Danfoss Drives. “The synergy between our technologies meant that it made perfect sense for Danfoss Editron and AXCO-Motors to join forces,” commented Juhana Ylikojola, Hydro Sales Director at Danfoss Editron and former CEO of AXCO-Motors. Danfoss Editron has previously worked at another of KSS Energia’s hydro plants, the company’s Verla facility which powers approximately 3000 households every year.